When summer finally rolls around, most people breathe a collective sigh of relief. It’s time to open the windows, fire up the grill, and relax. Right? Well, not so fast. Although summer is a relaxing and fun time of year for most people, it’s also when thieves feel most emboldened to target homes for break-in. The U.S. Department of Justice (DOJ) reports that home burglary, larceny, and auto theft rise by 11% during the summer months. Warm sunny days, frequent day trips, and vacations can put homeowners at an increased risk for home and auto theft. Fortunately, there are plenty of ways to prevent home burglary, especially during the summer. Here’s what you can do to make sure you and your family don’t become victims. Reporter Kyle Iboshi, a journalist with KGW8 News in Portland, Oregon, sent a questionnaire to 86 inmates currently serving time for burglary in the Oregon Department of Corrections. He wanted to know how they broke into homes, what they were looking for, and what would make them think twice about targeting a home. Most of the inmates broke into homes through an unlocked door or window. They also targeted homes with privacy fences or trees and shrubs that obscured the view from neighbors; thieves want plenty of cover when they break in. What items were the burglars looking for? Valuables like jewelry, electronics, cash, and credit cards were targeted first. Guns and collectibles were also popular, as were narcotic prescription drugs, which can be easy money for a thief. Finally, they looked for personal information they could use to steal victims’ identities, such as birth certificates, Social Security cards, and passports. Typically, burglars looked for valuables in the master bedroom first and then made their way through the rest of the house. 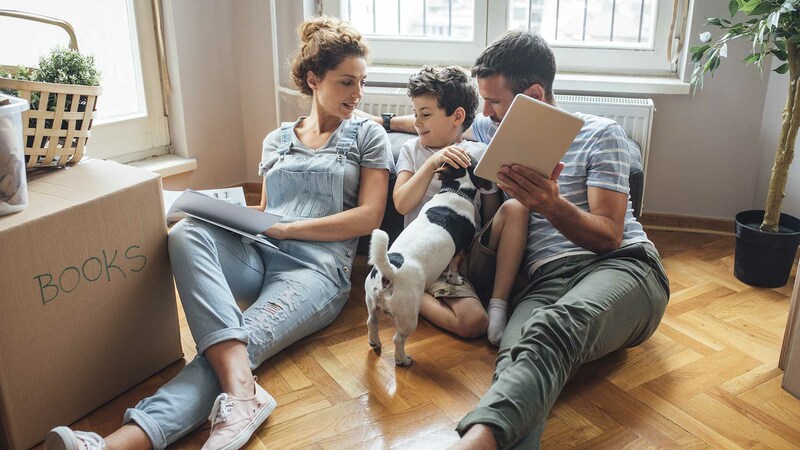 According to a DOJ report entitled “Burglary of Single-Family Houses,” families living in single-family homes are at a greater risk of break-in than those living in condos, duplexes, or apartments. That’s because single-family homes have more entry points, more privacy features, and are usually farther away from the prying eyes of neighbors. When Iboshi asked inmates if they spent time casing a home before breaking in, the answers were mixed. Some inmates would watch a home to learn a family’s routine and figure out when everyone was gone, while others didn’t spend any time on surveillance. How can you tell if your home is being watched by a burglar? Security expert Joel Logan, COO of Reliance Security, told Reader’s Digest that some criminals throw a rock through a window to see what happens. Are you home? Does an alarm go off? Do neighbors peek through their windows at the sound? If nothing happens, Logan says, the criminal might break in that night or soon after. If you come home and find a broken window, it’s best to call the police and make sure your home is completely secure before dark or when you leave for work the next day. Many thieves will sift through your trash to learn more about you. Yes, they’re looking for an opportunity to steal your identity, but they’re also looking for information about you. Where do you work? How old are your kids? Are you going on vacation soon? Have you recently made any big purchases? What are the names of other people in your family? You might be surprised by how much someone can learn about your family and your routine simply by taking your trash and recycling. Thieves can even use this information to gain access to the house; this is especially common with seniors. For example, imagine a thief steals your grandmother’s papers out of the recycling bin. These papers contain a letter from you. The thief can then pretend to be a handyman or yard worker that you hired to come help your grandmother out. When he drops your name, your grandmother has no problem letting him in, and once inside, he has plenty of time to case the home and find the best points of entry. He can also ask questions to learn your grandmother’s routine and come back when he knows she’ll be away. You’ve left for work and suddenly realize that you’re completely out of gas. Now you’re stuck on the side of the road, even though you’re sure your tank was almost full. What’s going on? Sometimes, thieves will siphon gas out of your car to ensure that you won’t return home for a long time. This gives them ample opportunity to browse through your house and find your valuables. Last week, two men delivered your new refrigerator. This week, your home was broken into. Sometimes, thieves have a regular “day job” in a field that gives them plenty of opportunities to case homes. They might be house cleaners, delivery or installation professionals, yard workers, or handymen. The DOJ report found that many thieves commit thefts close to where they live or work. They like to know the area, and if they can use their job to find out what’s inside a home, even better. A thief might also pay off other people who have had access to your house in order to find out what’s inside and how they can get in. Whenever someone new is going to be in your home, do what you can to remove any valuables from sight. When they leave, check all of your doors and windows to make sure they’re still locked and secure. You noticed a strange car drive slowly past your house several times yesterday. Today, you spotted someone you’ve never seen ambling by on the sidewalk. Sure, that car might have been driven by someone who was lost, and you might have a new neighbor. Or it could be a burglar casing your neighborhood. The DOJ report found that homes located on or near busy streets are at a greater risk of break-in because it’s harder for homeowners to spot strange vehicles when so many cars go past during the day. The more you learn about what thieves are looking for, the more you’re able to make your home and car less of a target. According to Iboshi’s questionnaire, almost all of the burglars interviewed said they’d think twice if there was a car in the driveway – a big clue that someone was home. If both of your cars are parked at work during the day and you’re really concerned about home burglary, it might be worth it to buy a used car just to keep in the driveway while you’re gone. Another option is to carpool with someone and have them park their car at your house while you’re both at work. Warm summer days might make you want to throw open the windows to let in some fresh air, but open windows are an invitation for burglars. Keep windows and blinds closed during the day so thieves don’t have a chance to peek in. If you’re planning your summer vacation, make sure your planning includes what to do about your mail and package deliveries. Thieves won’t think twice about opening your mailbox to see if it’s empty or full. A stuffed mailbox or a pile of newspapers on the driveway is a sure sign that no one’s home. Before you leave on vacation, put your mail on hold through the USPS Hold Mail Service, and ask a neighbor to pick up any papers or packages you’re expecting while you’re away. Ask your neighbor to remove any door fliers too; sometimes thieves stick a fake flyer in the door just to see how long it sits there. Think about all the items you might leave out in your yard during the summer months, like a lawn mower, weed wacker, or bicycle. These items are frequently stolen in the summer simply because they’re left out for easy picking. Outdoor tools and equipment should be put away and locked up as soon as you’re done using them. Make sure your garage stays closed. People often leave their garage doors open for convenience when they’re doing yard work, or they forget to close the door when they run out to do a quick errand. Get into the habit of closing your garage door and you leave yourself less vulnerable to a break-in. 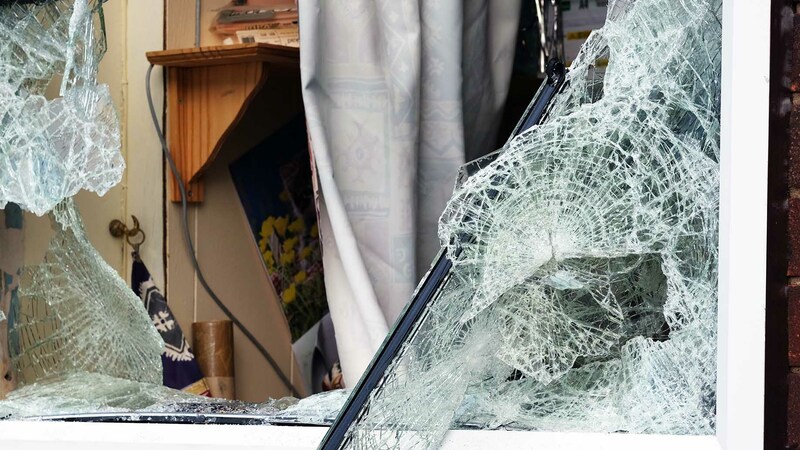 An open garage not only gives potential thieves a look at your valuables; it also tells them you’re probably not home. One convicted burglar who responded to Iboshi’s questionnaire said that he peeked into garage windows to see if a car was parked inside. If your garage has a window, put up some blinds to keep thieves guessing. Do you know and trust every single person you’re connected to on Facebook or Twitter? Probably not, which is why you should never talk about an upcoming vacation on social media. Don’t say when and where you’re going, don’t share pictures of how much fun you’re having – nothing. You don’t want to advertise that you won’t be home for an extended period of time. The DOJ report revealed that most home burglaries occur on weekdays between 10am and 11am and between 1pm and 3pm. Hearing a TV or radio on during the day is a huge deterrent for thieves as it likely means someone’s in the house. While you’re at work or on summer vacation, leave your TV or radio on for this purpose. If you don’t want these devices running all day, purchase a timer like the Smart Digital Light Timer. You can set a digital timer to turn on your radio in the morning and your TV in the afternoon to make thieves think someone’s home. 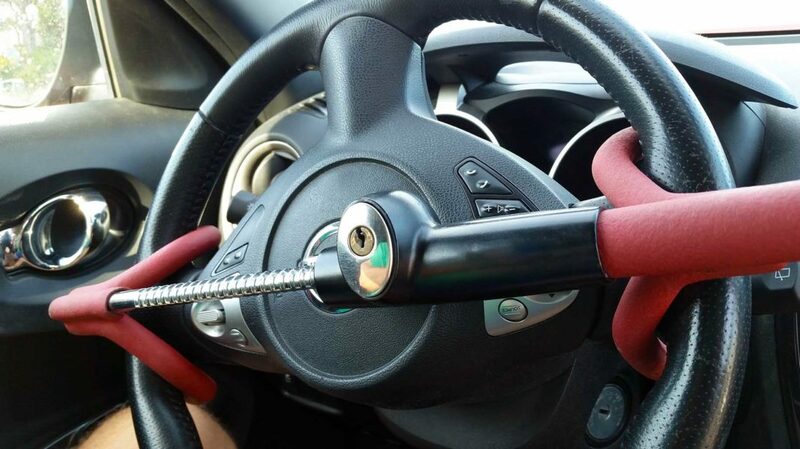 According to American Modern Insurance Group, most vehicle-related thefts occur in 20 seconds or less. To keep your valuables safe, always keep your car locked, even when it’s parked in your driveway, and never leave the windows open. Remember that in addition to burglars, teenagers are more likely to roam the streets in the summer and try car doors to see which are unlocked. You never know what will tempt a theft to break a window. Whenever possible, remove valuable items like portable DVD players, gaming devices, GPS devices, cash, and cell phones from your car. If you’re on summer vacation and you’re unsure of the area, park your car close to building entrances and exits where it will be more visible, or in parking lots near the security cameras. 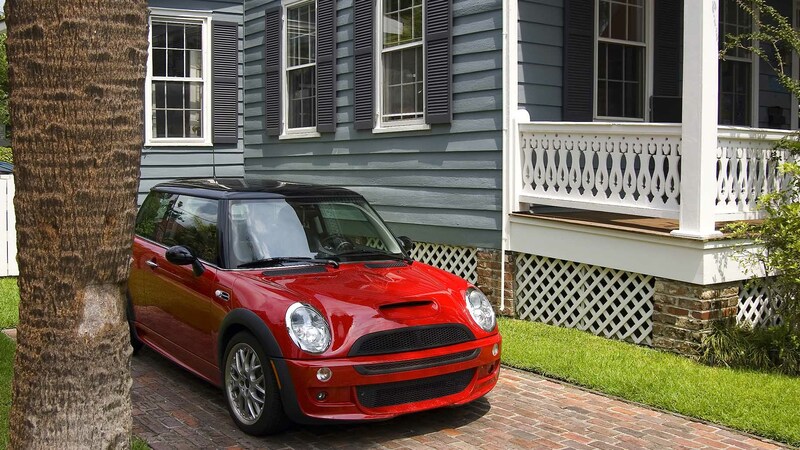 If keeping a car in the driveway is the best way to ward off thieves, having a dog is a close second. Most thieves steer clear of homes with dogs, according to the DOJ. A dog may bite or they may not, but thieves don’t want to take a chance. Even small dogs are a deterrent because their barking can attract attention. If you’ve been thinking of adopting a dog, right now might be a great time. Just make sure you know the costs of having a dog before you bring one home. Another option to keep your home safe is to install security film on your downstairs windows. Security film is made of polyester and is designed to slow or stop a thief’s entry into your home. It works by holding the glass together when someone tries to break in, which can help prevent “smash and grab” break-ins. You can find relatively inexpensive security film on Amazon. It’s also available through 3M. You might also want to consider a security system. The majority of thieves will think twice about breaking into a home with a security system. It’s a huge risk, and while there are plenty who know how to disable an alarm, it will slow them down if they have to do it. They’d rather move on to a home without any system to deal with. Just make sure you research the best home security systems so you pick the right one for your home and family. That said, bear in mind that a home security system isn’t always reliable. The Family Handyman reports that 80% to 95% of home alarms nationwide are false alarms. As a result, most large police departments won’t even respond to a home alarm unless there’s a secondary verification like a security camera or eyewitness. So while a security system might offer some protection, it’s not foolproof. A simple security camera is another option for home protection. The criminals who responded to Iboshi’s questionnaire said that a visible security camera was a deterrent for them. However, other criminals say that a camera signals that valuables are inside, making the home more appealing. Your best bet is to pair a camera with other precautions on this list to keep your home as safe as possible. Security cameras have come a long way in recent years; the costs have fallen dramatically and you can now find decent cameras on Amazon for less than $100. They can stream video directly to your smartphone so you can react in real-time, and cameras posted at your front and back doors might be all the deterrent you need to make thieves look elsewhere. Raise your hand if you have jewelry or cash stashed in your bedroom closet or dresser drawer. Many of us do. Humans are predictable, and we often choose the same hiding spots for our valuables – which means thieves know exactly where to look for these items. If given enough time, a thief will tear your house apart looking for valuables, so if they stay long enough, eventually they will find your items, no matter where they’re hidden. But a thief typically spends 8 to 12 minutes inside a home during a break-in, and they’ll be focused on searching the more predictable places listed above. So, where should you hide your stuff? A Substantial Safe. If your safe is portable – meaning it’s not attached to the wall or floor – a thief will take it and crack it open later. A safe is still a great place to store valuables, as long as it’s either very big and heavy or bolted to something larger so it can’t be picked up. A Hollowed-Out Book. Most thieves won’t take the time to check every book in your house looking for an empty one. They want to get in and out quickly, so a hollowed-out book surrounded by plenty of “real” books is a good hiding spot. Cans and Boxes in the Kitchen. That empty box of Cheerios makes a great hiding place for your valuables. So does that empty oatmeal container. Put your items in there and leave them right in the pantry to hide them in plain sight. In the Freezer. Yes, thieves will check the freezer. But many people store valuables in the freezer in a sock or other wrapping that makes it painfully obvious these items aren’t food. The freezer is a good hiding place as long as your valuables can easily be mistaken for food, so wrap them in plastic and aluminum and put them in the back. This works especially well for important documents. In the Garage. The garage can be a great hiding place for valuables because there is typically a ton of stuff in there. Yes, the garage is less secure than your home, but if you put items in a box with a boring label (such as “Baby Clothes” or “Christmas Decorations”), a thief will likely pass it by. Inside a Houseplant. It’s doubtful that thieves will paw through your houseplants looking for valuables. Line your pots with plastic or another material that makes it easy to lift the whole plant out, and put your valuables underneath in a waterproof bag or container to keep them dry. Summer leads to a rise in break-ins for several reasons: people leave for vacation, they leave windows and doors open when they run out to the grocery store, and it’s just easier for thieves to break in when there’s no snow on the ground. Keeping your home and car safe doesn’t require a big investment, just a better awareness of what attracts burglars and what deters them. Even simple chores like keeping trees and bushes trimmed go a long way towards discouraging thieves. What do you do to prevent a home break-in? Do you have any clever hiding spots you’d like to share?